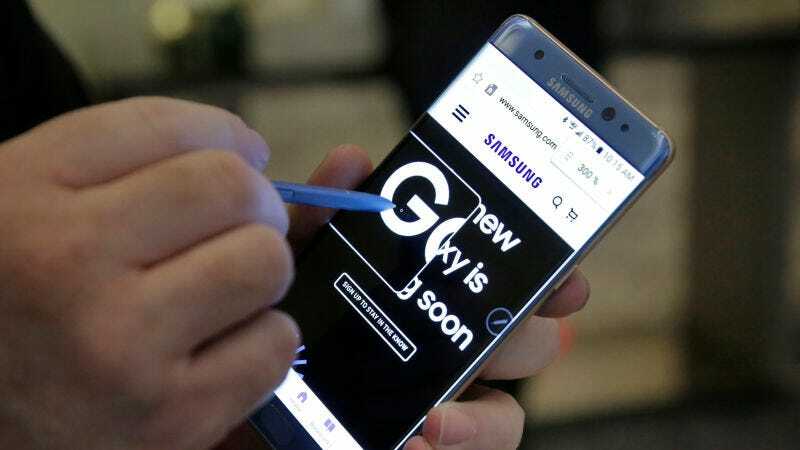 Citing an unnamed official at a Samsung supplier, South Korean new agency Yonhap reports that the company has temporarily suspended production of its flagship Galaxy Note 7 smartphone. According to the source, the suspension is being done in coordination with safety officials in South Korea, the United States and China. Just days after releasing the phone this summer, Samsung launched an unprecedented recall of “defective” Note 7s in September after multiple reports of the devices exploding when charged. Assuring customers that the explosions were the result of a defective battery only affecting some of the phones, the company offered to replace them with new, allegedly safe Note 7s. In the last week, however, at least three replacement phones have also reportedly caught fire. On Sunday, AT&T and T-Mobile announced they were indefinitely suspending all sales and replacements of the Note 7. Customers of both carriers can still exchange their Note 7s for other devices and are urged to do so. Gizmodo has reached out to Samsung for comment. This post will be updated if and when they respond. Wait, Are the New Note 7&apos;s Overheating Too?